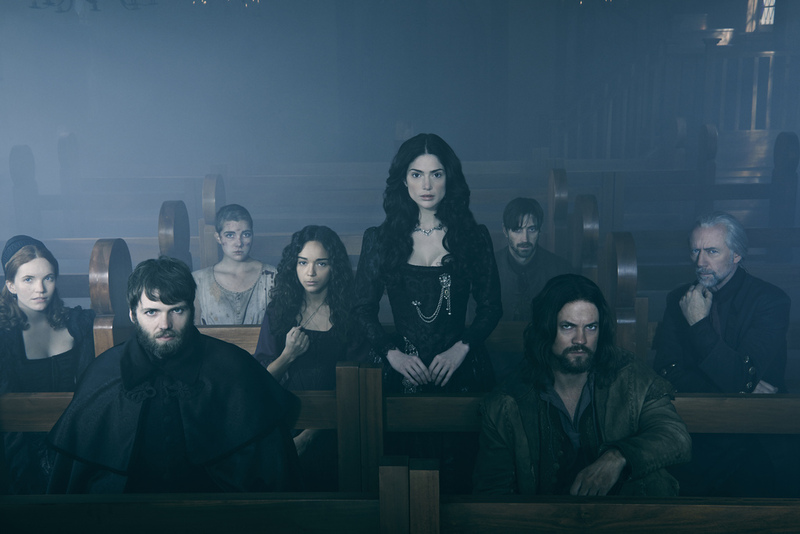 Tonight is the nail-biting season finale of WGN America’s drama, Salem. OHSOGRAY caught up with star Shane West and the show’s co-creator Brannon Braga to get a hint on what devoted fans can expect. Can you give us a hint on what type of cliffhanger we’re going to get at the end of the season? Brannon Braga: This finale, we’re very excited about…What’s really cool, it’s kind of like 5 cliffhangers in the body of one episode, it’s pretty spectacular. You’re going to see some stuff happening, obviously, between Mary and John. Episode 12 more or less ended with a pretty great cliffhanger in itself. Alden, Mary, that’s a big story. The Cotton/Increase story, the Mercy story, the Anne Hale story…we’ve got a lot of stuff going on in one episode. It’s pretty packed, wouldn’t you say, Shane? Shane West: I would say so. It’s a great way to end a season. You leave so many stories open ended and if you’re a fan of the show in general, you’re going to be excited to see what happens to all these characters in the second season. Or maybe we all die, who knows, and there is no second season. [Laughs] All of Salem blows up. Brannon Braga: There are a couple of shocking twists, I think. Shane West: People will be surprised by some of the stuff that happens. On that note, do you already have it planned out for next season on where you want things to go? Salem airs tonight at 10/9c at WGN America.